UFO SIGHTINGS DAILY: Alien Disguised As Secret Service Agent Revealed On Camera At AIPAC Conference. 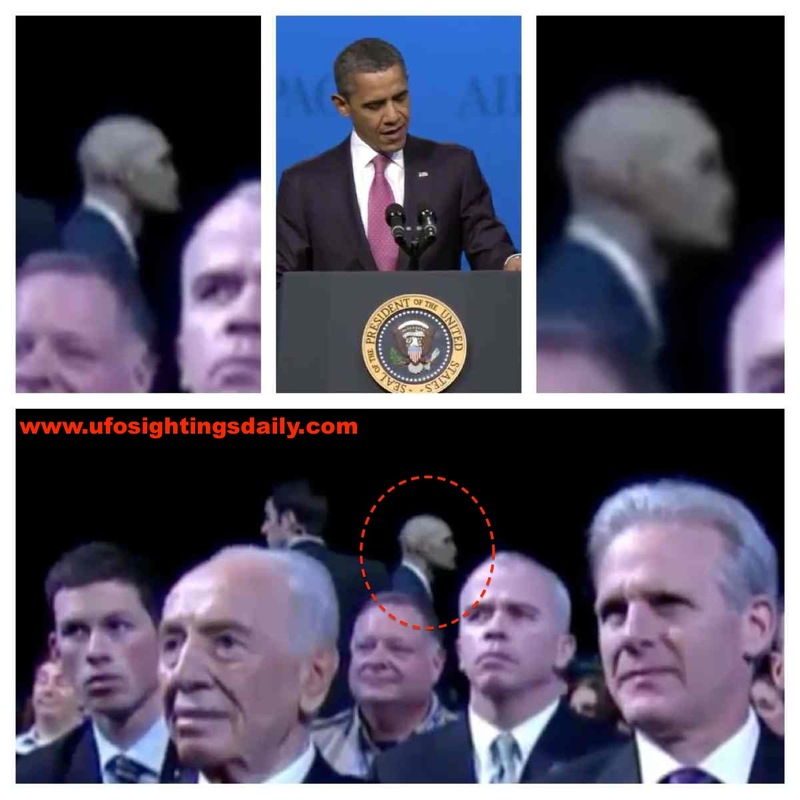 Alien Disguised As Secret Service Agent Revealed On Camera At AIPAC Conference. Aliens among us. Many of us have heard stories about abductions and even about many species of aliens that live among us. Some look like us with human form, others don't and they must use their technology to disguise themselves as one of us. Most aliens work in influential positions, but some prefer to work in the tech area thinking that it would be the best way to improve humanity...through technology. Here we see President Obama giving a speech from last year at the Washington Convention Center. As the TV camera pans across the crowd we see several Secret Service agents keeping watch...one of which looks to be an alien that many are calling a reptilian species.